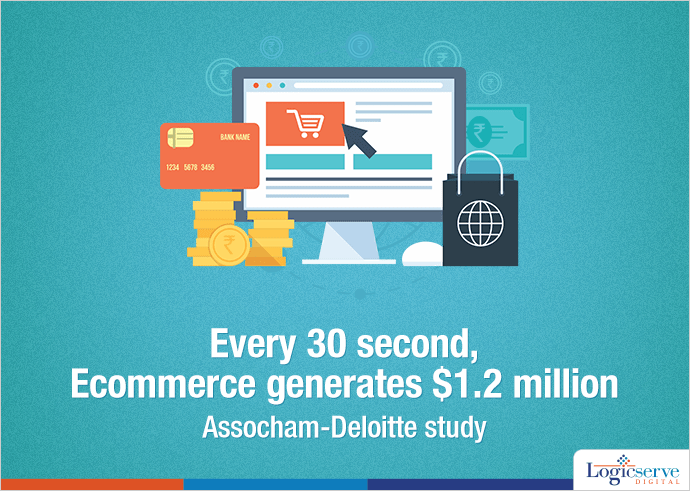 According to a joint study by Assocham-Deloitte, after every 30 seconds the global ecommerce industry generates around $1.2 million where the larger chunk of the revenue of the sector is cornered by social media platform. Every half-a-minute Facebook, Pinterest and Twitter contribute US $5483, US $ 4504, and US $ 4308 respectively to $ 1.2 million figure. The study says that ever increasing social media reach across every corners of the globe makes it the most suitable platform to generate online sales and build brand awareness. General D S Rawat, Assocham Secretary said that to motivate customers e-tailers have started encouraging reward points, feedback on social networks, along with direct links to the websites. They have become the most popular features of social commerce to the leading ecommerce websites. Payment gateways have reduced the chances of theft and frauds, as it helps the e-tailers get instant payments instead of COD (cash on delivery) payments. The study adds that, ecommerce applications available on smartphones have helped to drive sales and revenue. 50% of the revenues of ecommerce giants like Amazon, Flipkart and Jabong are generated due to the customers shopping on their smartphones. Weekend Digital Media Round-up: Google’s new feature to track image traffic, Facebook’s paid partnership tags, LinkedIn’s video captions and more..